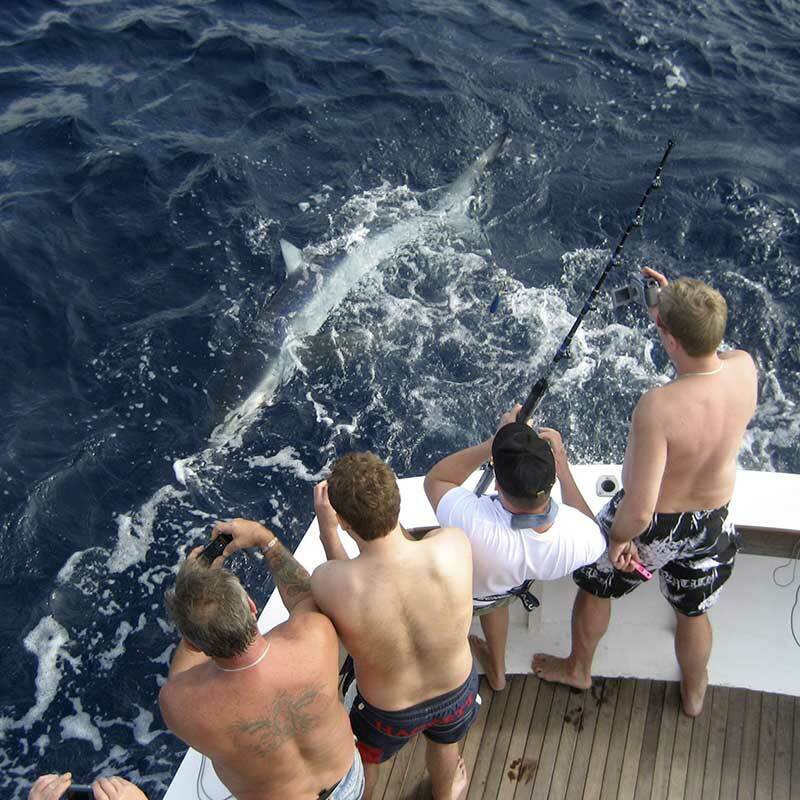 We are a company specialising in big game sport fishing chartering on the island of Tenerife , with over 40 years experience. 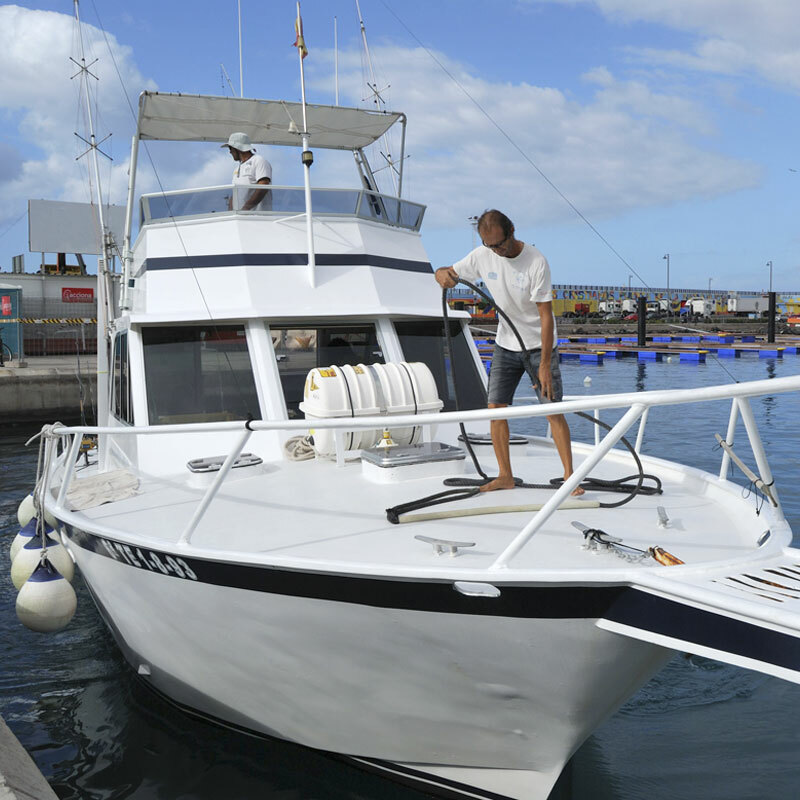 We offer our boat, fishing equipment and crew on board to any professional fisherman, and people who want to try fishing on the island of Tenerife. 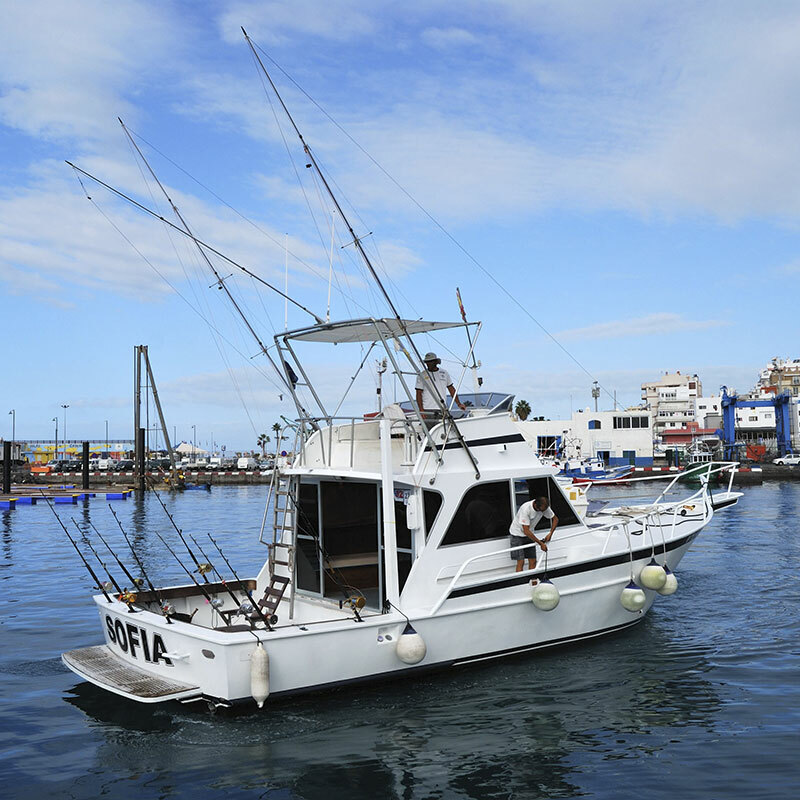 Each day, we go sport fishing from the port of Los Cristianos. The Yacht is exclusive for you. Perfect for groups, families, friends….Book the time you like. The yacht Sofia is a spacious boat, very comfortable and specifically designed for big game and sport fishing. 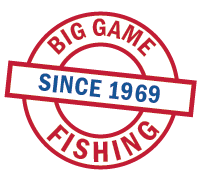 We work with high-end equipment fishing.